Europrerle SOL I 166 is a linear block coporymer obtained by anionic polymerisation. The polymer is based on styrene and butadienel where bound styrene is 30 % wt. non-sta4-iing antioxidant system is added during he production process. Europrenel SOL T 166 is a linear block copolymer, providing excellent dispersability and processablEity, combined with high strength and elasticity. 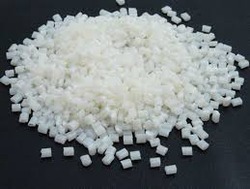 Characterized by the excellent dispersability and processability, the grade is wideky used in adhesive formulated products, i n compounding far both footwear and technical applications and as a toughening agent in polymer modification and Oastic recyclim. The grade is also suitable for bitumen modification in both waterproofing membranes and road pavement applications. Europrene SOL T 166 is produced in Ravenna Plant (Italy) in pellet form. Available in bags on pallet, big bags and wooden cpates. For detailed information, please refer to your versalis representative. Store the preparation in a covered place in sealed packagingo away from sunlight and heat sources. Ensure the proper ventilation in all storage areas. Please consult the relevant safety data sheet for more detailed information The information and data presented herein are to Lhe best.of our knowledge true and accurate, but no warranty or guarantee, expressed or implied, is made nor is any liability accepted with respect to the use of such information and data.